If you are looking for a band or member, post the position and city/state/country in the thread title. i.e. 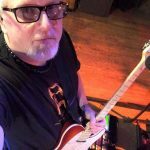 "Lead Guitarist needed in Kalamazoo MI"